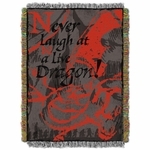 Seeking fanciful dragon textiles? Look no further! Dragons have been woven into cloth for centuries. 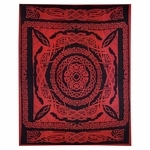 Now, you can have your very own dragon tapestry. Or, for those who need a practical bag, we have draconic totes to carry your treasures within. With designs by Ed Beard Jr, Julie Fain, and others, you're sure to find something you like!